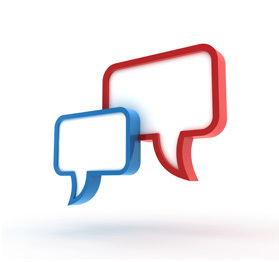 Our expert quality work and award-winning service speak for themselves. But who are we to say "no" if our clients want to sing our praises a bit? We received the brochures, posters and postcards today and they all look absolutely fabulous! We really are thrilled with how they all turned out, and have been receiving compliments left, right and center on them. I am so excited to work with you on these projects for the upcoming season and so happy to have finally found a print company we can rely on. Thank you so much for all your hard work on these. Way to go, GMPC! You guys really nailed it this year! The Invitations, Posters and Ad Journal you printed all looked amazing! Thank you so much for all your help and support in making this year's Annual Spring Event another big success. Hats off to the GMPC staff for another job well done! 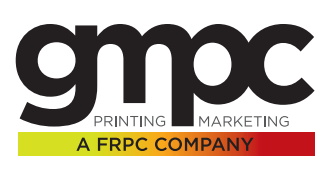 We wanted to let you know, how very pleased we are with the programs and the calendar you recently printed for us, as well as the level of service GMPC Printing always provides. We are receiving so many compliments on all of the brochures and other marketing collateral you have helped us develop recently, and for that we remain loyal customers. It is truly a pleasure to work with a company as efficient as yours. The catalogs look amazing! Thank you for the quick turnaround and the great price. GMPC is the BEST printer in the world! There is no comparison to any other printer! They'll do whatever it takes get our projects done on time and with the best quality! We're a creative agency in Jersey City and have been working with GMPC since our first year in business in 1995! Thank You guys for always going the extra mile for us! "Thank You" is such a hackneyed phrase, but I can think of no words more appropriate. You went above and beyond the call and served us so wonderfully well on the variety of jobs you have done for us the past few months. It was a tremendous amount of "stuff" - and it all came out so beautifully well. Since it was all somewhat complex, I especially appreciated your understanding of what we were trying to accomplish. Thank you for all the time, effort and quality workmanship you have given all of printing projects through the years. We have depended so much on your professional guidance and clarity in making decisions and solving problems along the way. We look forward to working with you and your staff on more projects throughout many, many happy school years to come. We're famous for needing our jobs done yesterday, and your seasoned staff meets our challenge every time with expert ease and professionalism. You and your staff has been and will continue to be a major part of our success. We were concerned about the complicated details of our print project, and the deadline was extremely tight, but your staff bent over backwards to get the job done right and on schedule. We couldn't have been more pleased with your cooperation, and the results speak for themselves. Thank you for making my life easier. GMPC always gives me prompt, reliable service, and there's never a hassle. Your staff comes through for me time and time again. The company brochure that you recently designed and printed for us is receiving rave reviews. We're so pleased with the extra care you provided from start to finish. Your attentiveness is not merely professional, but well beyond the expected. Thank you for the wonderful printing job you did for the Rotary Club's Anniversary Booklet! It is spectacular! I have to tell you it was a big hit with our Rotarians and the many guests at our luncheon last month. The booklet will help us "get the word out" about our organization, and should serve us well in helping to attract new members. A million THANK YOU'S from me to you and your staff for everything you always do in helping us with our printing and marketing needs.